Featured is a bold and striking vintage pendant/brooch combination attached to a lovely pearl necklace strand. 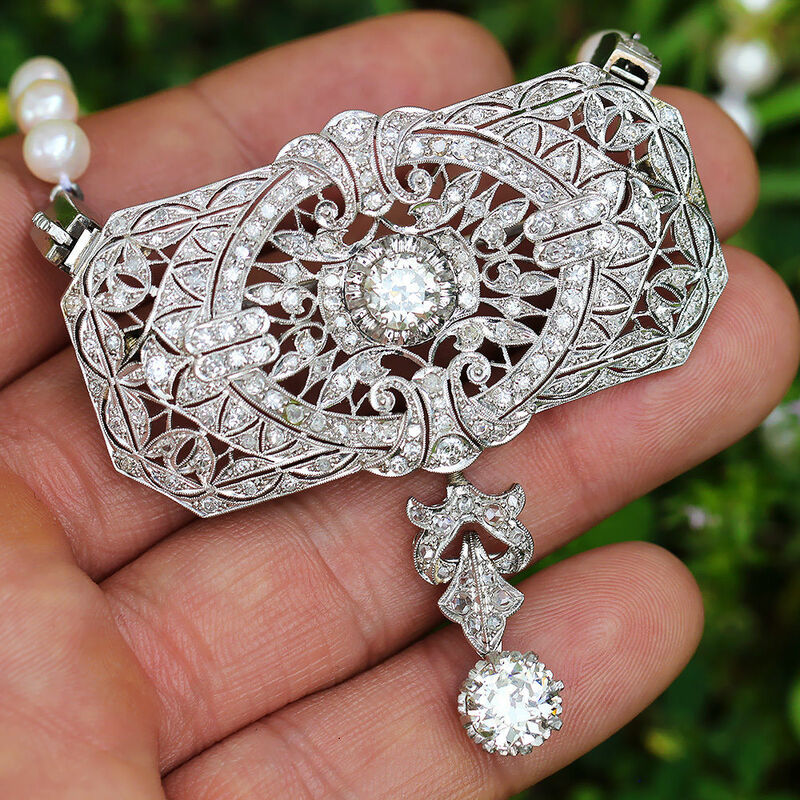 The centerpiece is made of platinum and allows you to wear at as a brooch with its pin attached to the back or their are clasping units on the top edges of the East and West sides of the pendant where you can attach the pearl necklace to. The intricate rectangular Art Deco structure is elaborately designed and sensuously accented by 171 diamonds with a mixture of old mine cuts, rose cuts and single cuts weighing about 4.00 carats total and graded H-K in color and SI1-I1 in clarity. This symmetrical masterwork boasts a 1.04 carat Old European cut diamond at its center in an 8-prong secure setting. The diamond is H-I in color and SI2 in clarity. Just to add to the fun is a unique drop that dangles from the bottom center of pendant and exhibits a bold 1.67 carat Old European cut diamond in a matching 8 prong setting dangling from the rectangular brooch and can be detached. This one is graded I-J in color and SI1 in clarity. A sophisticated round cultured South Sea pearl necklace is attachable and they are silverish white with pink overtones and they measure 5.50 to 6.00mm in size. The necklace with the pendant measures 20 5/8” in length as the pendant’s drop length measures 2 1/4” and its width measures 2 3/16”. 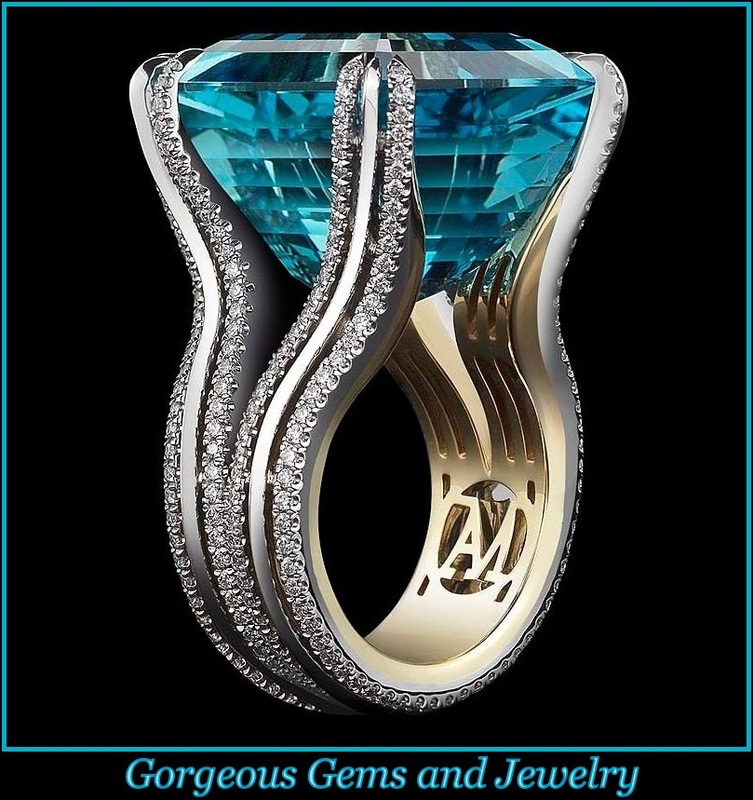 The entire piece weighs 51.2 grams and the total diamond weight comes to 6.71 carats. It was crafted in the 1920s and is in spectacular condition.